We dare you to take the Toxic Challenge! 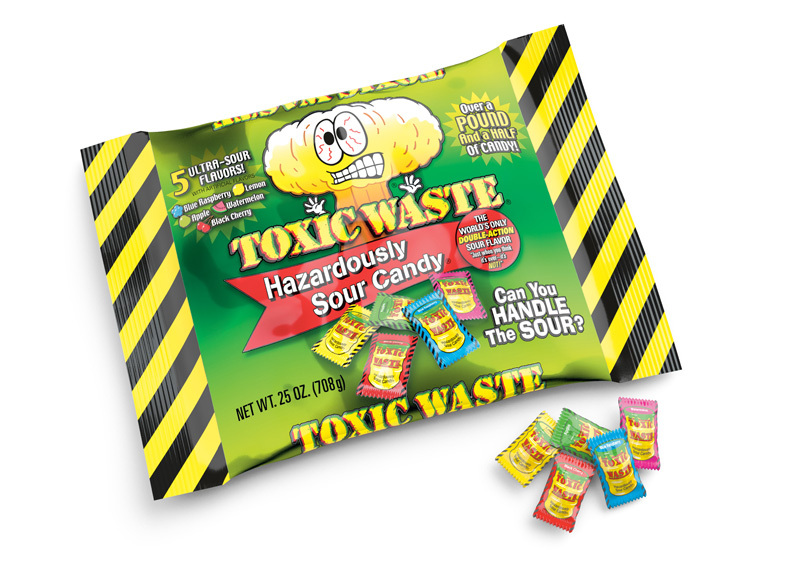 Try the only sour candy strong enough to be officially proclaimed, “HAZARDOUS”! Each 1 pound or 25 ounces bag comes with an assortment of super sour flavors of blue raspberry, black cherry, green apple, lemon, and watermelon.